The other day I had a problem using ReCaptcha - when a form of mine was displayed the entire HTML page scrolled down to the bottom. I was told it was a ReCaptcha problem and I could 1) flush DNS cache or 2) switch to the simpler form of ReCaptcha. I flushed the cache. Didn't work. Today I switched to to the simpler form. But now the Captcha element on my webpage just spins. It never displays the word to be typed. Too many problems with JotForm lately. This can't happen. Do you have the form embedded somewhere, or are you using the form as standalone? 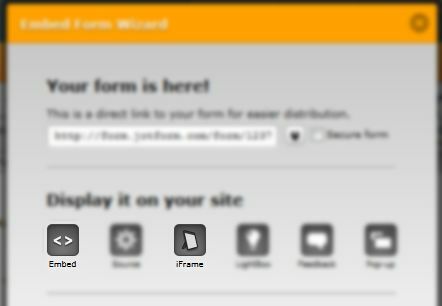 If embedded, kindly use iFrame or Embed <> methods for your form instead of iWeb. If none of these made any difference, kindly give us the URL of the exact page where the form is embedded so we can inspect for ourselves and hopefully come up with a working solution. We'll await your feedback. Thanks!